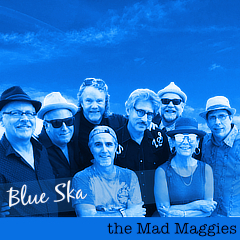 The Mad Maggies will be sailing the air waves, or is that cyber waves, tomorrow night! Captain Jack asked for some tunes to share on his new radio show and we happily obliged. Listen in to Scoundrel’s Inn radio – Wednesday night from 9pm-11pm central time. internet radio, Pirates, Scoundrel's Inn.